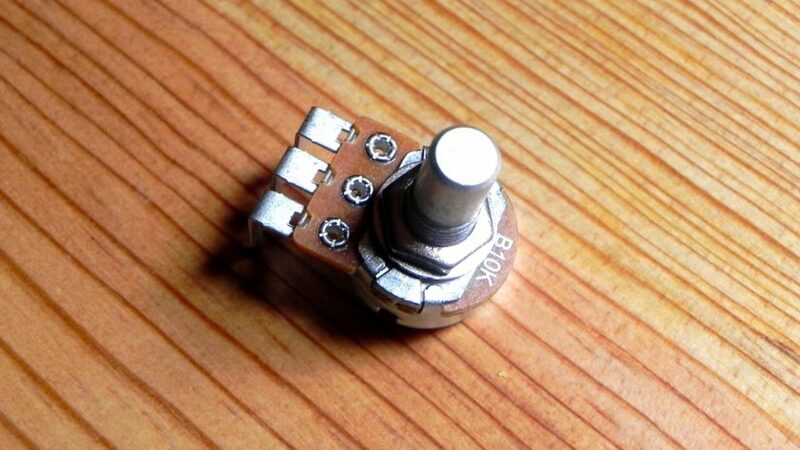 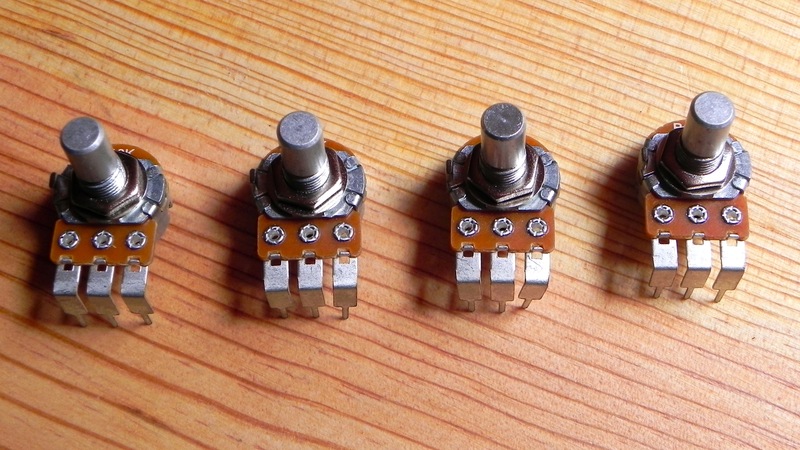 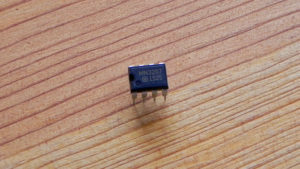 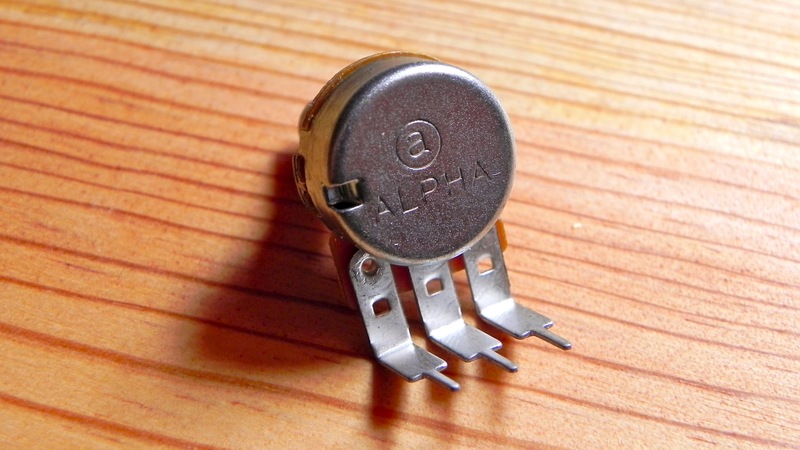 A set of four of the PCB-mounting right-angle potentiometers used for the Flangelicious flanger project. 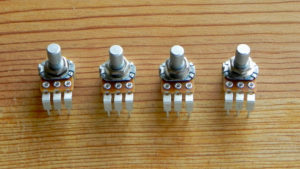 The pots are Taiwan Alpha 10K Linear 16mm pots, widely used for stompbox projects. They have a good solid feel and are a quality part. 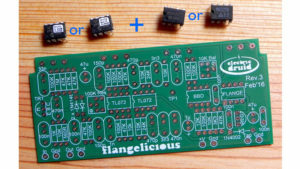 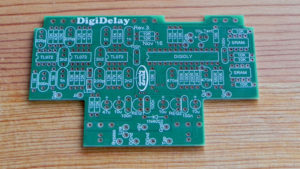 They mount on the back side of the Flangelicious PCB, which eliminates a lot of tedious and error-prone wiring, and makes mounting the PCB very simple.